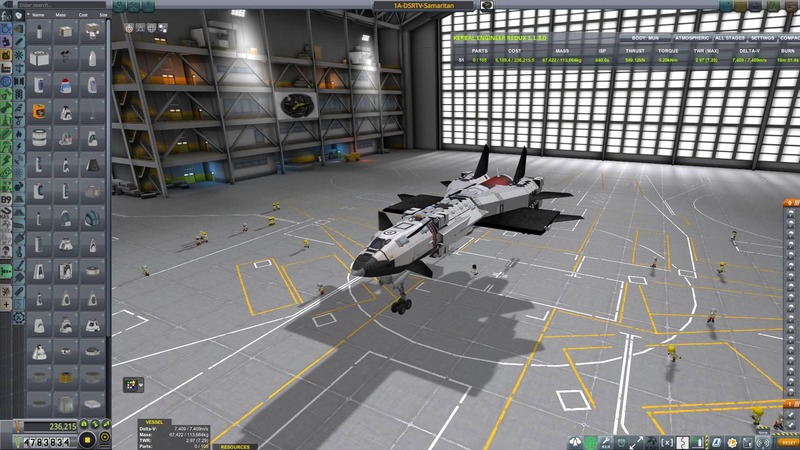 SSTO Space Plane designed for deep space rescue and tourist operations. Relys on thermal power to take off from Kerbin Surface and to Return to landing strip. In deep space uses Hybrid Plasma engines with extreme efficiency and refuels with solar power sails. Over 6000 Delta V from 300 KM above kerbin .DSRTV - Deep Space Recovery and Tourism Vehicle.